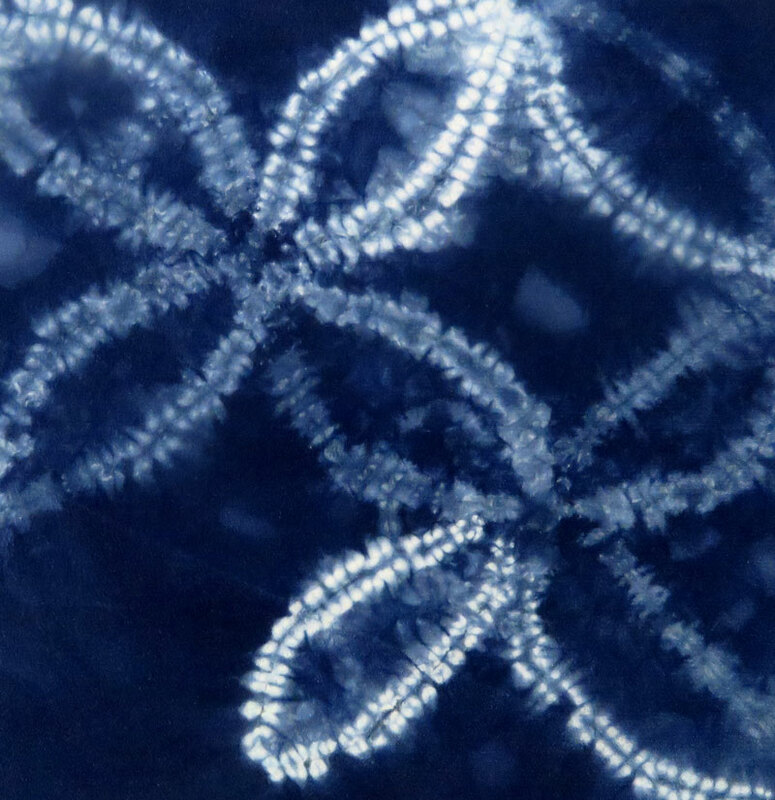 I've ventured down the Shibori path before ... I tried some Arashi Shibori (pole wrapping) a while back, loved the resulting fabric but found it very hard to incorporate into my work! "Pulling up the threads of hand-sewn rows worked with small stitches creates tiny folds, and as a row of stitching can follow a drawn line, specific shapes, motifs, patterns and designs can be composed." but it's the flexibility to stitch freeform designs that is exciting .... 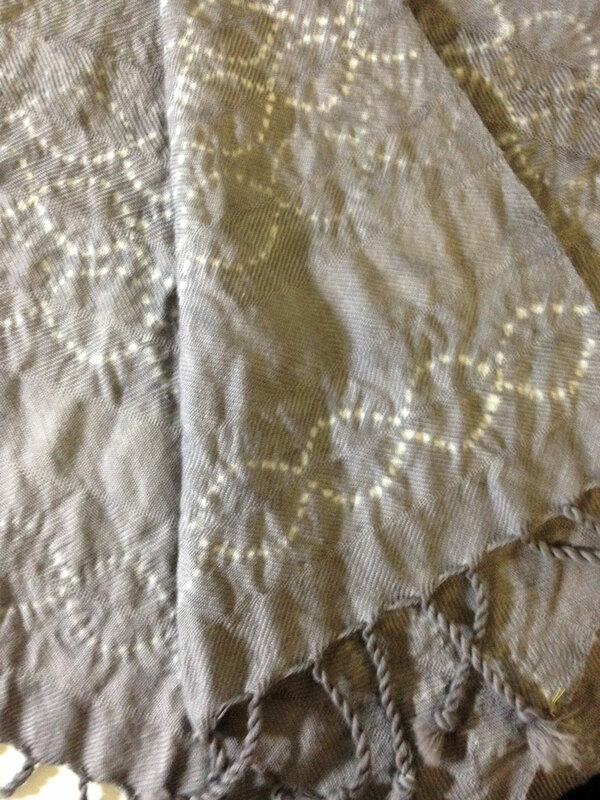 I've been stitching my own designs using an oversewing technique called 'guntai shibori' which creates a lovely effect.